ROSE TATTOO ANNOUNCE U.K. SHOWS! Aussie legends ROSE TATTOO are to have their Blood Brothers album reissued to coincide with their European Tour. First released in 2007, Blood Brothers is the band’s most recent studio. It was the last to feature original guitarist Mick Cox, who would pass away two years later, and also saw the arrival of slide guitarist Dai Pritchard, replacing band founder Peter Wells, who died the previous year. The album saw a boost in profile for the band with considerable exposure for the lead single, a cover of EASYBEATS frontman Stevie Wright’s Oz rock classic ‘Black Eyed Bruiser’. The reissue, which features 6 bonus live tracks, is set for release through Golden Robot on 18 May. It’s available to pre-order here. 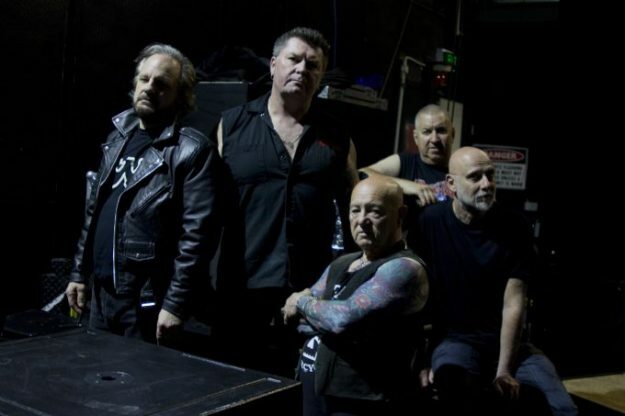 Rose Tattoo last year announced a new all-star line-up with Angry Anderson and Dai Pritchard joined by former AC/DC bassist Mark Evans, Angels and Skyhooks guitarist Bob Spencer and former Australian Crawl drummer John Watson. The band head to Europe in June, arriving in the UK in September. Catch them on the road at…. ‹ WIRE REISSUE FIRST THREE ALBUMS!